256 MB minimum hard disk free space. 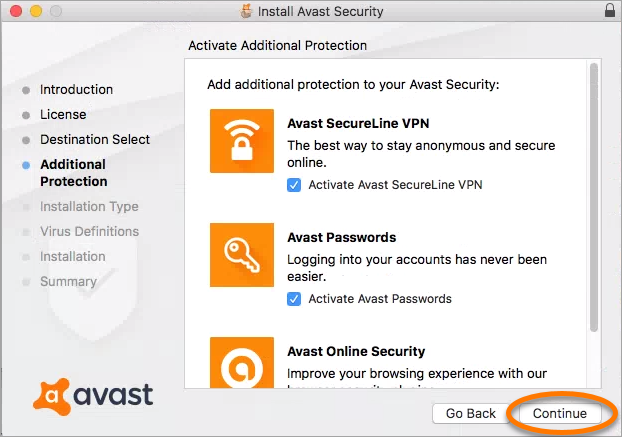 Internet connection (to download and register the product, for automatic updates of the program and antivirus database). 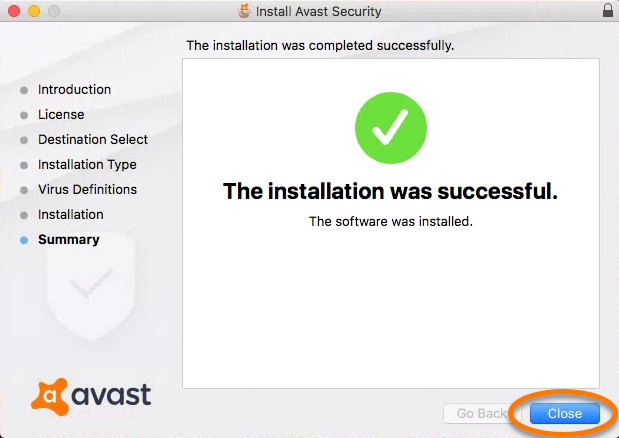 Double-click the downloaded setup file avast_security_online.dmg and select Avast Security. 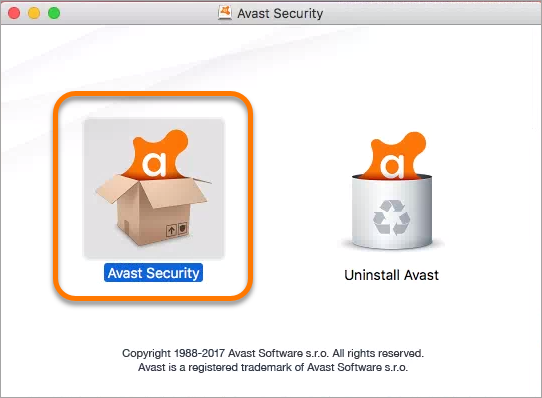 Click Continue to determine if Avast Security can be installed. 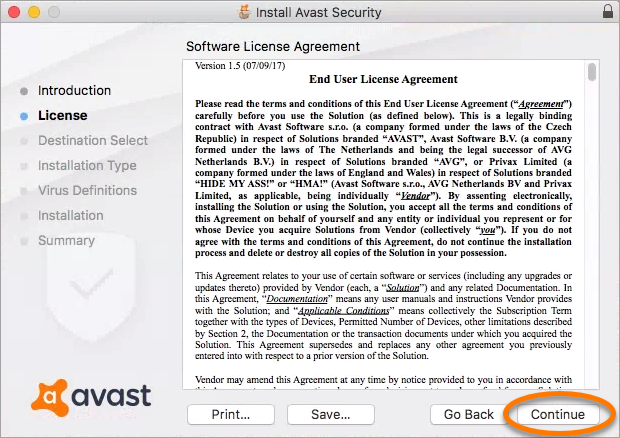 Click Continue to confirm that you have read Avast End User License Agreement. Click Agree to confirm that you accept the terms. 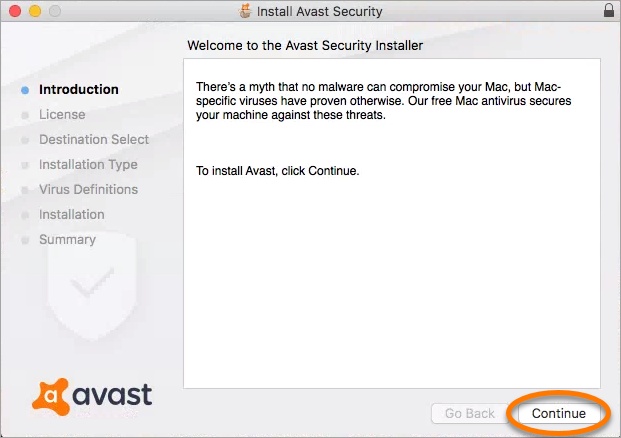 You may be offered to install additional protection products. If so, select your preferred products and click Continue. Click Install. 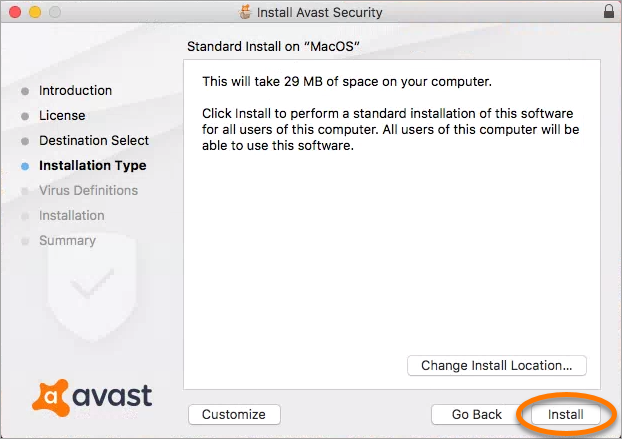 Alternatively, if you would like to make changes to the default setup click Change Install Location or Customize.